Another year has passed, and yet another child of mine turns yet another year older. Our little Tater Tot has turned 4! Taylor had a lot of fun today. 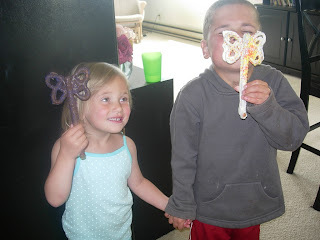 She had some friends over to play, and we made some princess wands out of pretzels and almond bark, and yes sprinkles!! 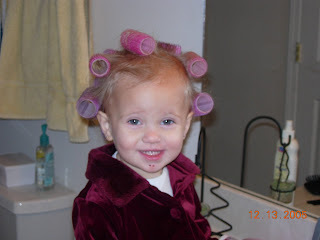 Kids are so resilient, and each year brings more surprises, and lots of laughter. We sure love our little tater tot, and we wish her a happy birthday! Oh, Happy Birthday, Tator Tot! 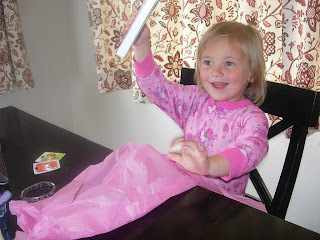 Love your princess wands! The years keep marching on, and I look forward to each birthday with excitement, yet a little sadness, to see my kids growing older and up. Those wands looks so fun! You are so creative! Isn't it weird how time flies?? Happy Birthday Taylor! happy birthday to Taylor!! looks like it was a fun party. OH CUTE TAYLOR :) That top pic. is just adorable! 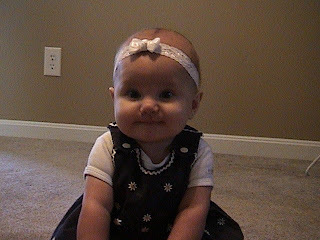 They grow so fast, it's gettinh hard to remember Hannah as a baby. She had fun at the party, can't wait to float!! !